Dude, you are coming down too fast off of your bad Buzz. Back to your Bottle with ya! Your name fits you perfectly. Squelching Trump will solve nothing. For some reason, we are willing to accept infringements on our Second amendment rights. But the slightest curb to our freedom of speech is rightfully met with strong resistance. Why should the President of the United States have his first amendment rights curtailed? The bigot base is riled awaiting opportunities to bash scapegoats’ heads. Has the enabling act been drafted yet? 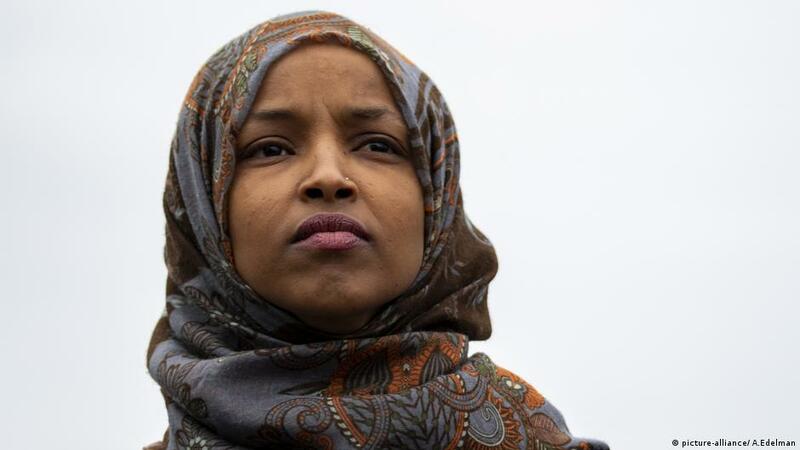 Why aren’t they drawing the association between Trumps continued Hate and anti Muslim Campaign, and The ranting about antisemitism we heard everywhere in both party’s just hours ago, they are exactly the same thing except that Omar’s remark wasn’t antisemitic. Now if generalization gets a free pass from the republicans, we can have a field day on them by associating their whole party with Trump. The whole world is looking. Hello Andrea Germanos and Everyone,I have a slightly different suggestion. Let the twitler say whatever it wants but totally redact everything. Same for facebook. After all they are private organizations and see fit to whatever they want to do anyway! That will tweak his beard or put another way or to get his goat! Hate speech and intimidation through Facebook and other sites have been investigated by the FBI and perpetrators subjected to arrest. Now is the time the FBI should pursue the same with President Trump and his cohorts. Time for a real coup. Hello natureboy, Hate speech is not protected speech! You can yell or whisper theater in a fire but not fire in a crowded theater! Ditto. Couldn’t have said it better. It’s the republican’s game to limit free speech. Who gets to say if it’s hate speech or not? I could only agree if it’s determined democratically. Legal or not, what’s to stop some lunatic from yelling “fire” in a crowded theater? Well said. Imagine the disruption if the majority of users of those platforms stopped using them for a day or week or better yet a month. I wonder what would happen?